We are different, we come from different countries and live in different communities. Notwithstanding this, we have a lot in common: we are starting this Erasmus+ project together, we are leaders in our national associations, we are young and above all, we are Europeans. This European identity we share is an invitation to engage ourselves in improving the context in which we spend our time. 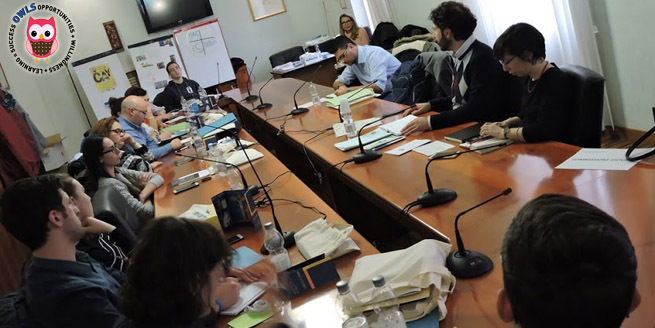 “As Catholic young people, we should be aware of our role in the European Union, take action and plan the ideal European city, in which we can spread peace and development” Michele D’Avino, the Director of the Toniolo Institute in Rome stated. Every participant is committed in his/her local groups and communities. However, sometimes we walk our educational path without having a strong methodological background which can sustain our work. Learning about positive youth development let us understand that we are on the right path, but at the same time we also identified aspects which can improve in the service we provide locally. One morning we visited the Monastery in Vitorchiano and in the afternoon we went to Viterbo, to explore the place where the Catholic Action made the first steps. At the Monastery we had a meeting with Sister Francesca, who told us about her experience. On the contrary to what many think, the life inside the community is extremely open to the world. They give a lot of attention to the way they live, making sure it is a sustainable way, producing their own food and selling some products in order to self-sustain themselves. Even though they do not go out (except for emergencies or for very special occasions), they have an eye on what happens outside, aware of the latest news and about the different situations all over the world. Our commitment as youth should be accompanied by a very strong impact of our actions outside our parishes and dioceses. This clearly indicates that by staying inside we will not be able to help or improve our society. The visit we had in Viterbo, the place where Mario Fani (one of CA founders) lived, was very interesting. No one can move forward and grow without being conscious about his story. “Being responsible for youth does not mean that we are allowed to forget that we are young people ourselves” Don Tony Drazza stated. Therefore, this OWLS project is just the beginning of the work that should see us not only as organizers, but also as protagonists. The upcoming Synod asks us to be fully engaged in the discussion on youth, faith and discernment. How can we promote dialogue between the Church and Young people? What are the main topics that are at the centre of the discussion amongst young people and that Church should tackle? The days spent together in Rome were just the first steps in asking these questions, and fostering the collaboration and the unity between different national experiences of the Catholic Action. We understood better that ‘We are Europe’ and the UE concept is not only an abstract idea. We remembered with the JPII’s words that ‘we are the sentinels of the morning’ and an European citizenship becomes contagious when it is lived daily. The speech Michele D’Avino had was stimulative to take into account the personal European identity and recall for our mission as youth. The certainty we are ‘agents of change’ calls for proposals that start with ourselves. As ‘new-entries’, the initiative helped us to understand better what Catholic Action means through the shared experiences of Italian young people from ACI, the visit to FIAC hystorical center on Via della Conciliazione and the trip to Viterbo. All of them re-confirmed us the invitation that Pope Francisc addressed to ACI, that we are called to “Life up to (y)our story”. Working on national groups and each own presentation stimulate us to realize the weaknesses of some aspects in Romania, like: the lack of communication between youth and Church due to an aberrant hierarchical cooperation that doesn’t works at all, the lake of cooperation between local catholic groups of ACRO or between latin/greek-catholic in general and the lack of a strong connection between lay and civil authority at a national level in grade to create a specific AC identity in the Romanian social contexts. The last, but not the least, the ‘6C’ model of positive youth development was the “bomb” of our meeting and it still have so much to “trigger” in our future activities. 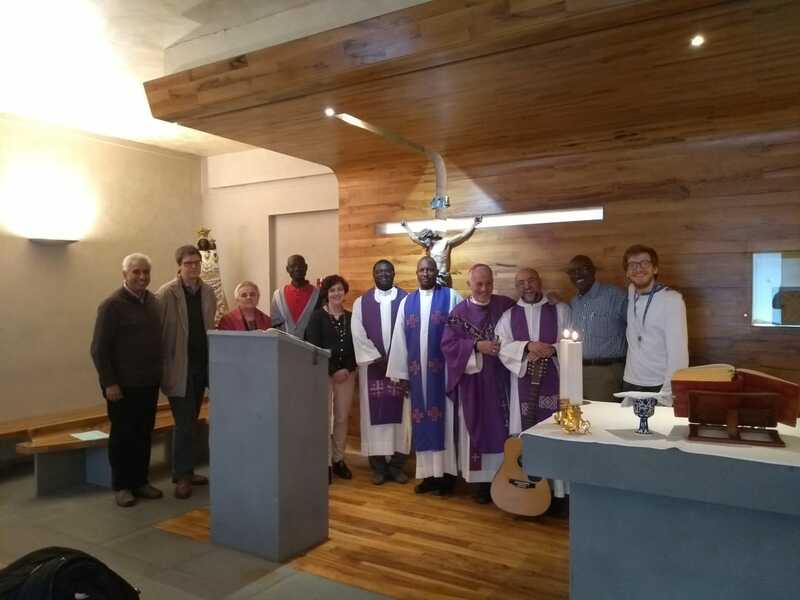 We added for it the point of ‘COHERENCE’ trained out from the Social Teaching of the Church which is necessary to take into account more and more. The actual themes of justice mean that our social mission as catholic leaders or youth is ‘constitutive’ for a better COMMUNITY that we attend to. In questi giorni ho avuto la possibilità di vivere un’esperienza unica a Roma, passando per i corridoi della sede in cui si pensa e si organizza l’Azione Cattolica Italiana dal 25 al 2 marzo c’era un’aria diversa, si potevano ascoltare discorsi in diverse lingue: un gruppo di ragazzi italiani, rumeni e maltesi che hanno passato sei giorni insieme per condivivere le loro esperienze. Diverse sono state le attività svolte in questi giorni e i momenti che porto nel cuore al ritorno da questo progetto. Non capita spesso di avere la possibilità di confrontarci con altri ragazzi di altri paesi e di condividere insieme le nostre esperienze di vita personale e la nostra esperienza in Azione Cattolica. L’Europa è stata una dei temi tratti in questi giorni anche grazie al confronto con Michele D’Avino, Direttore dell’Istituto di diritto internazionale della pace Giuseppe Toniolo; il quale ci ha sottolineato l’importanza della partecipazione giovanile alla vita europea non solo culturalmente e socialmente ma anche politicamente. Un’altro incontro che ci ha segnati è stato quello con alcuni giovani esponenti dell’Ac di Roma, i quali ci hanno raccontato i loro progetti, le loro azioni e le loro sfide in una città tanto grande quanto diversa, cercando di vivere l’Azione Cattolica in mezzo alla gente dedicando particolare attenzione all’elevato numero di studenti universitari fuorisede che Roma ospita e alle periferie della città, dove i ragazzi e i bambini troppo spesso vivono gran parte della giornata in strada. Abbiamo pensato al nostro futuro, al futuro di questo progetto e al futuro delle nostre associazioni ma l’abbiamo fatto guardandoci alle spalle, ripensando ai 150 anni dell’Azione Cattolica Italiana in un luogo simbolo della nostra associazione: Viterbo, là dove 150 anni fa Mario Fani, allora poco più che ventenne, costituì il primo circolo dell’Azione Cattolica.